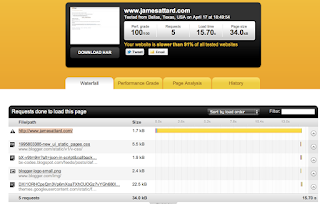 It results that my blog takes more than 15 seconds to load! 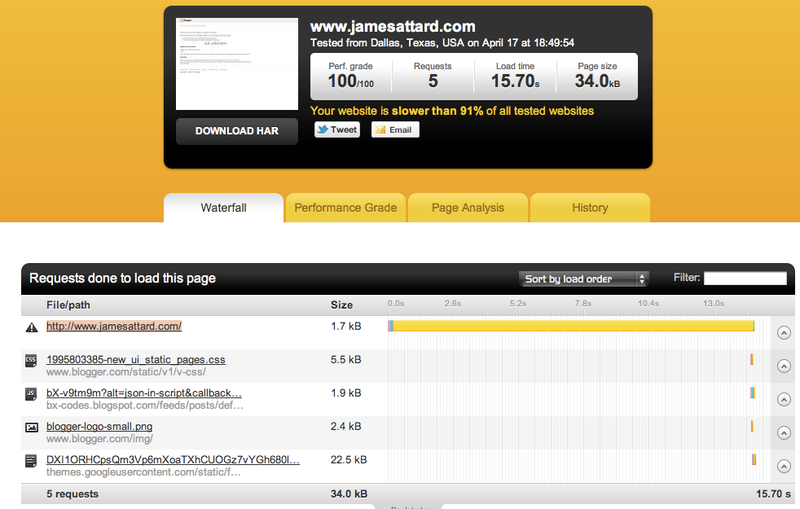 I reran the test a couple of times, and sometimes it also spiked to 20 seconds to load the page! This will put off potential readers and subscribers, or as we say in SEO terms, spiking the bounce rate to more than 80%. By looking at the screenshot above it was evident that the problem was inherent just on my blog and not on the Blogger network, as the server was spending 15 seconds just to display something on the screen which is smaller than 35kB. I rearranged the widgets (you have to experiment) in such a way that I put the potentially slow widgets at the bottom of the sidebar. Also note that now the page size indicates that the whole page nearly loaded (651kB) - which indicates that the order of the widgets made a difference, possibly because one of the widgets is buggy! I hope you try these simple tricks and if you do, post your results in the comment section below.